Washington Avenue! Home of the best Halloween parades and spectacular homes. ~At 401,~ front porch alone is worth the visit. 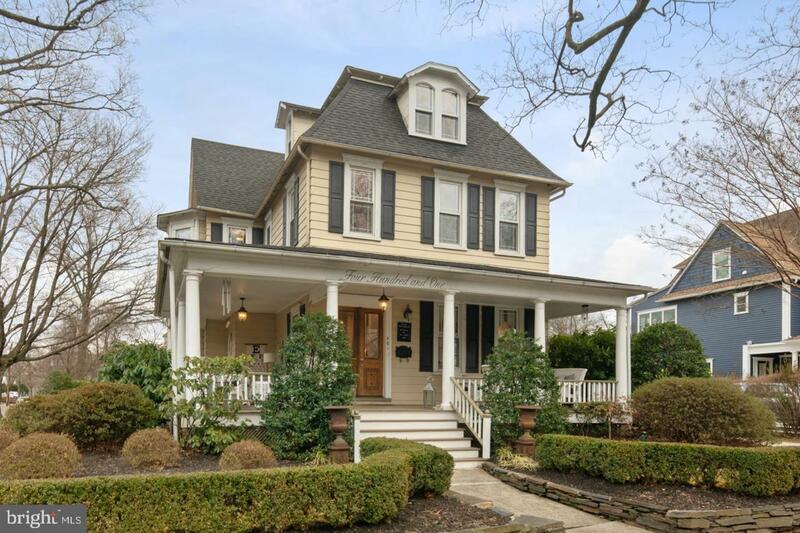 Beautifully maintained and a perfect example of original charm complemented by modern upgrades. 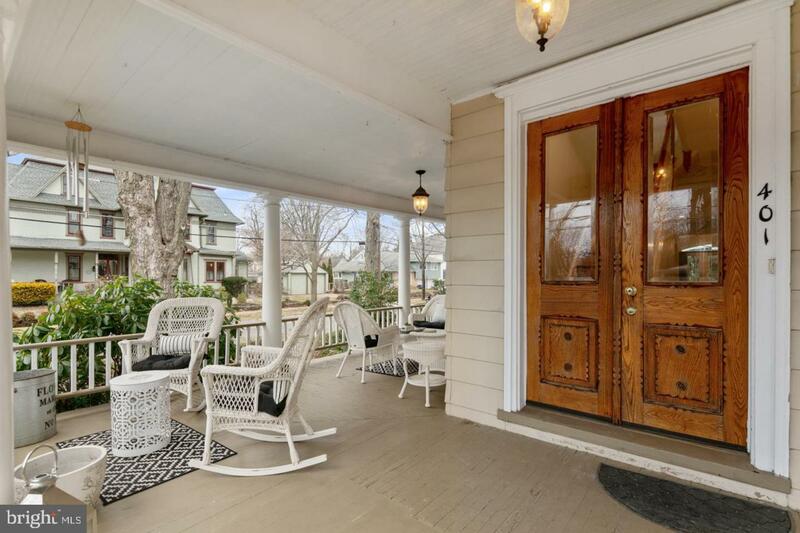 Gracious front porch, original wood floors with walnut inlay, 10~ ceilings and a great open feel for entertaining. 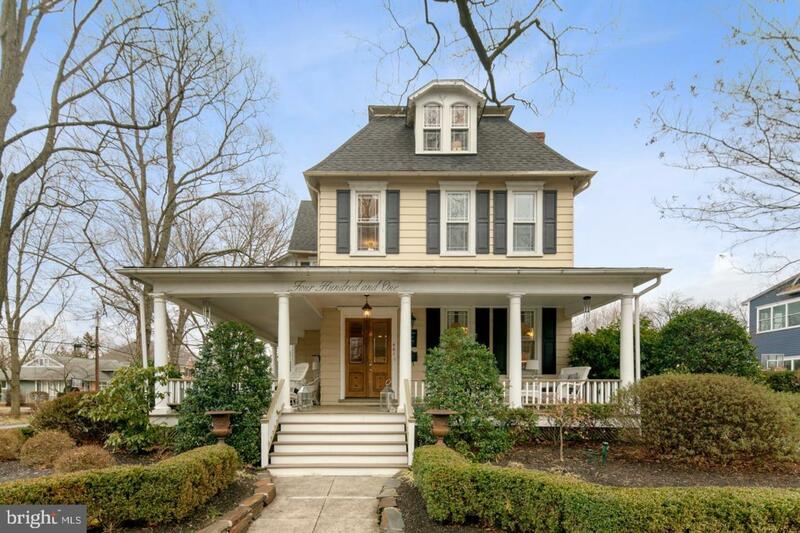 Reasons enough to love this home~!~ First floor boasts large rooms that flow into one another. Living room with fireplace and traditional mantel and spacious dining room with a wall of windows are part of the original charm while a huge open, great space is perfect for modern living. Kitchen with white cabinets, granite counters, an island for food prep, peninsula with seating and stainless appliances. Bonus bar area with extra cabinetry and storage too. Beautiful breakfast room is surrounded by three walls of windows and French doors leading to the backyard. Even better- the kitchen, breakfast area are part and parcel of the great family room. Huge open space with a second fireplace and spacious feel. Great sunroom also with separate heat and air serves as a mud room, den and could be a great office or playroom. Bedrooms are large and have good closet space especially considering the vintage of the home. Master suite includes full bath with double sinks, white and gray amenities and stall shower. Third floor impresses with another spacious bedroom and office or exercise room as well. The lot is serene with professional plantings and landscaping. Enjoy the bucolic setting or fence the property to have more play space. Two car garage and so much more. 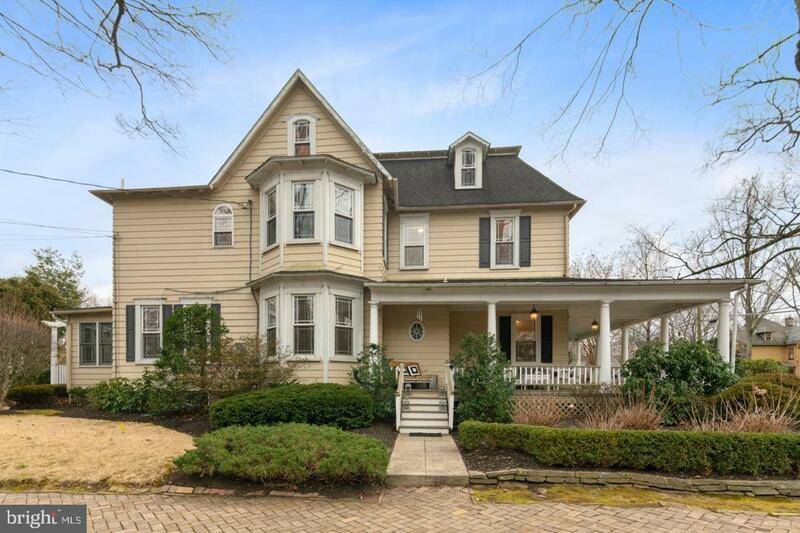 Award-winning Haddonfield schools, great downtown shopping, very close proximity to schools and the speed line to Philadelphia - all on Washington Ave! Can~t be beat.